Summer has set its foothold in Mumbai ! But my awesome Sunday afternoon was going to change as soon as I stepped into the Myrah Day Space facilities in Juhu. Now, Ive passed this place a little too many times but it has always gone unnoticed. Cause it sits in a quite by-lane. Ofcourse, once you step-in you are transported to a Victorian Haven… ! 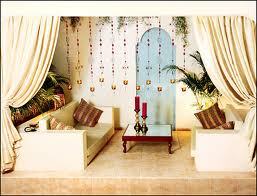 Like all other Spa’s this one makes you feel like a godess waiting to be unfolded. 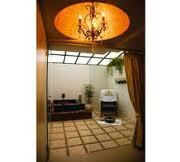 The Royal Asian Massage transported me to 7th heaven. I felt as though I was floating and just got transported to the beginning of time when my body was just made ! Kuki and I looked like 2 happy bunnies sipping on the awesome Ginger Tea post the massage and did not want to leave that place.. 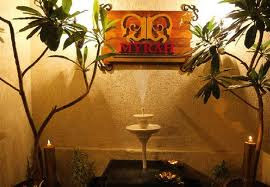 If you are thinking of a belated gift, or just a Sunday gift for your girl friend take her to Myrah Spa. It makes an awesome special gift..! Kuk’s… me Loved the experience !